Metro International Tours & Travels / Metro Car is one of the leading Jodhpur car rental service provider and Tour Operator in Jodhpur, We assist you in experiencing the beauty and colors of Rajasthan. We organize your Tour & travel service at Jodhpur, Jaipur, Jaisalmer and Udaipur and another city in Rajasthan. Jodhpur is the second largest city of Rajasthan also known as blue City, You can find numerous attraction like Fort, Garden, Lake, Handicraft Market, Temple, Village Safari, Guda Vishnoiyan and nearby Places to visit around Jodhpur. Metro International Tours & Travels, serve taxi service in Jodhpur which covers all your need whether you looking to popular tourist destination of the Thar desert, Local places or Outstation use. We offer you wide collection of tourist vehicle like Toyota Etios, Toyota Innova, Innova Crysta, Tempo Traveller and more with Best car rental service in Jodhpur. Avoid crowded local transport service and having haggle for taxi rate with taxi drivers. While we provide transparent fare as per need, We offer Jodhpur car rental service for Full day Local Jodhpur Sightseeing and Outstation Family trip to explore entire city with experience driver which give traveler stress-free travel. Our driver picks up you at your location (Railway station, Airport or at your Hotel) and takes you as per your places of interest in and nearby places of the City. Above are just brief about Jodhpur fare if you want to explore more about fare than please go our Jodhpur taxi Rates Page. 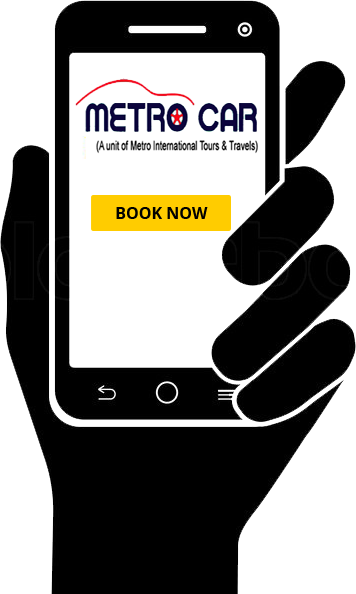 Metro Car Booking has a sole vision, i.e. a happy and satisfied customer. The commitment to provide our customers with high-quality service has always been the driving force in all our endeavours.